October 1962. The Soviet Union has smuggled missiles into Cuba. Kennedy and Khrushchev are in the midst of a military face-off that could lead to nuclear conflagration. Warships and submarines are on the move. Planes are in the air. Troops are at the ready. Both leaders are surrounded by advisers clamoring for war. The only way for the two leaders to negotiate safely is to open a "back channel"—a surreptitious path of communication hidden from their own people. They need a clandestine emissary nobody would ever suspect. If the secret gets out, her life will be at risk . . . but they're careful not to tell her that. 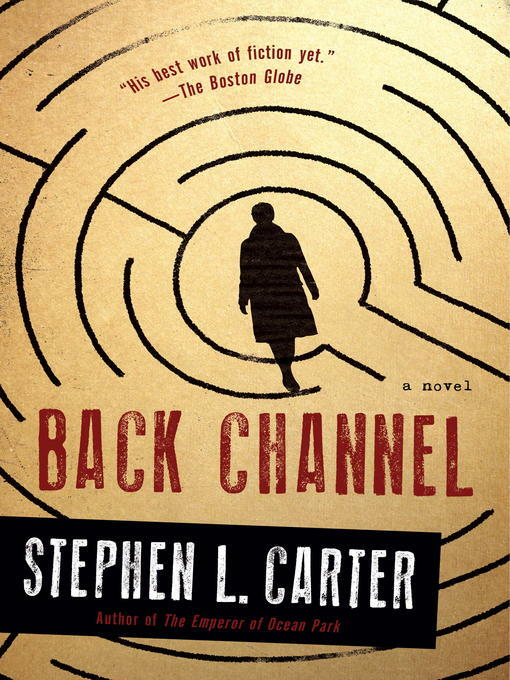 Stephen L. Carter's gripping new novel, Back Channel, is a brilliant amalgam of fact and fiction—a suspenseful retelling of the Cuban Missile Crisis, in which the fate of the world rests unexpectedly on the shoulders of a young college student. As the clock ticks toward World War III, Margo undertakes her harrowing journey. Pursued by the hawks on both sides, protected by nothing but her own ingenuity and courage, Margo is drawn ever more deeply into the crossfire—and into her own family's hidden past.